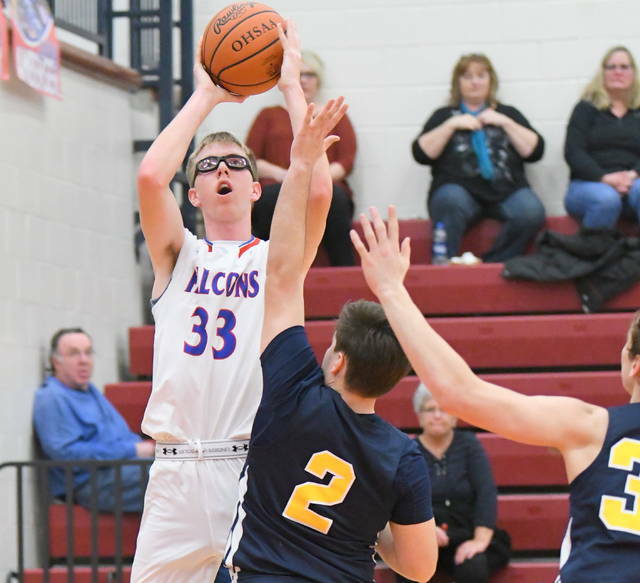 ADAMS TOWNSHIP – Monroe’s game-tying three-point attempt drew iron and bounced away, and Clinton-Massie escaped with a 32-29 victory Tuesday. “Way to escape with a win,” CM head coach Todd Cook said he told his team after the game. “We’re still winning. But we didn’t play with a lot of energy. Monroe does a good job taking you out of what you want to do. Maybe with a game last night and a game Friday night, we didn’t full-court press. “Plus I’m limited on my numbers, so we decided to go half court (defensively). Maybe that’s a little bit my fault. It may have taken our team out of tempo a little bit. But they slowed us down. They make you play defense for 45 seconds to a minute every possession. The Hornets (6-7) had a chance to tie after Massie missed the front end of a one-and-one with 17.9 seconds left. 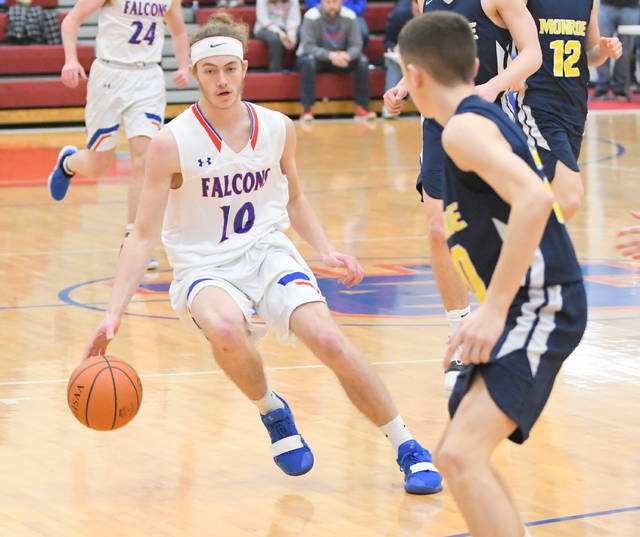 They also had a chance to tie with a three, but missed, the possession before that, after a pair of Brendan Lamb free throws gave the Falcons (10-2) its 32-29 margin with 33.7 seconds to go in the game. Lamb led all scorers with nine points. Clinton-Massie led most of the night, but by no more than six. It took a 23-19 cushion into the final period, but Monroe scored the first six to take its first lead of the game, 25-23 at the 6:21 mark. 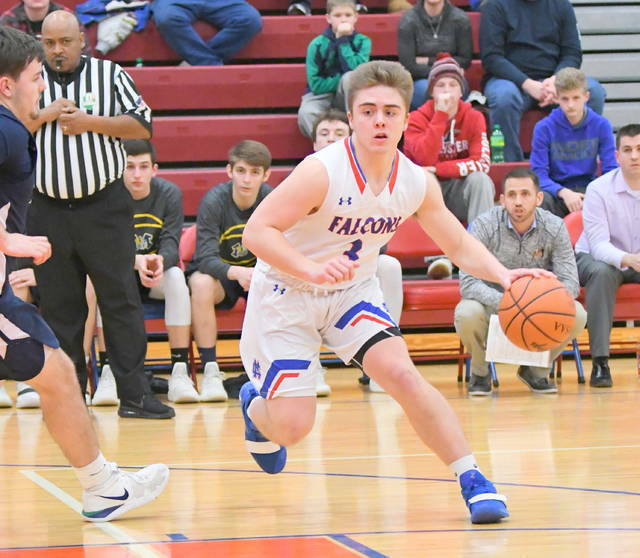 Monroe led or was tied with Massie for the next three and a half minutes until Griffin Laake banked in two to give the Falcons the lead for good, 28-27. 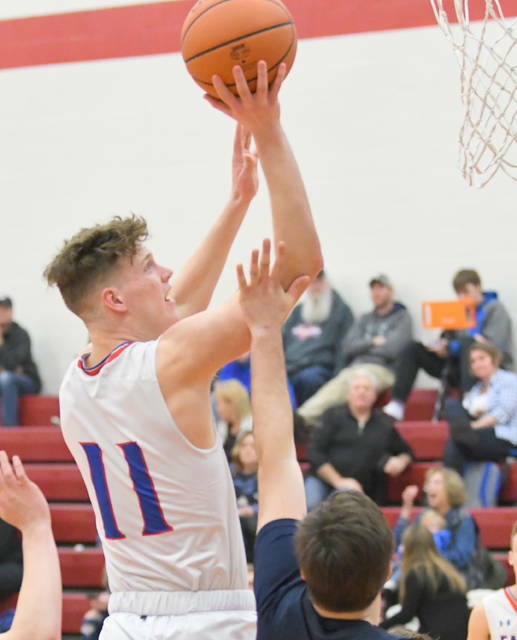 Collin Deaton and Jack Taylor led Monroe with six points each. 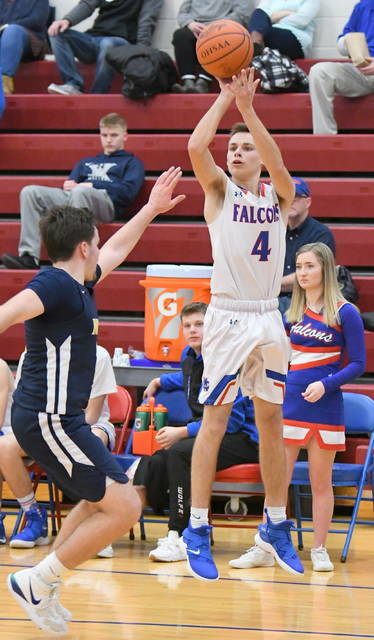 Monroe also dropped the JV game, 49-47, after a game-tying attempt missed the mark at the buzzer. Three Falcons reached double-figures, led by Carsyn Valentine with 13. Nate Baker and Tate Olberding had 10 each. 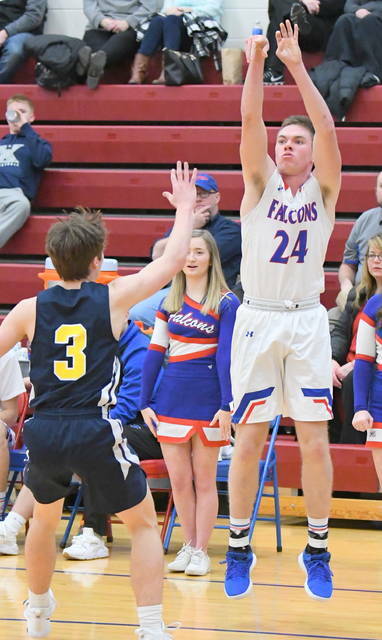 (29) MONROE (fg-ft-tp) DeBord 1-0-3, Borneman 1-0-2, Osterman 2-0-4, Deaton 3-0-6, Taylor 2-1-6, Poindexter 2-0-4, Ploeger 0-0-0, Turner 2-0-4. Total 13-1-29. 3-point goals: 2 (Taylor, DeBord). FTM-FTA 1-4, 25 percent. (32) CLINTON-MASSIE (fg-ft-tp) Lamb 3-3-9, Chowning 2-0-6, Myers 1-1-3, Laake 3-0-6, Settlemyre 4-0-8, Olberding 0-0-0. Total 13-4-32. 3-point goals: 2 (Chowning 2). FTM-FTA 4-7, 57 percent.